For small meetings to large group seminars, new spaces offer new opportunities. 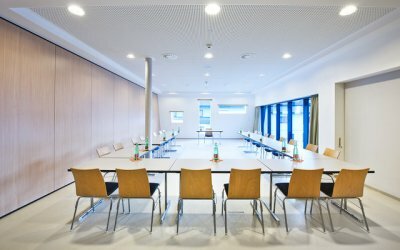 There are two meeting rooms in the size of 70 - 80m ². Both of them have natural daylight and can be combined into one large room. The tested maximum row seating is 130 people. 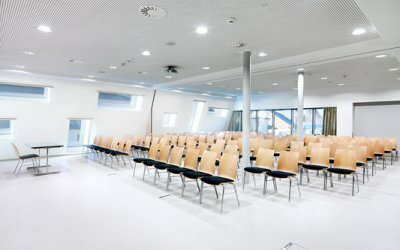 Smaller seminars and meetings as well as mixed forms are possible through a flexible division of space - we will advise you. The upstream division before the seminar rooms provide sufficient space for your individual seminar break. 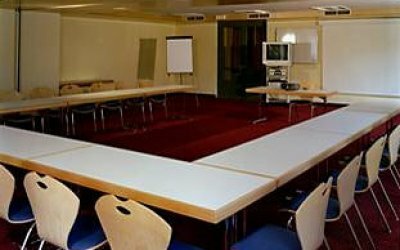 All seminar rooms at the Hotel Perner have WiFi, projector / TV and flip charts. In combination of Seminar Room I and II, a central sound system with two handheld microphones is possible. 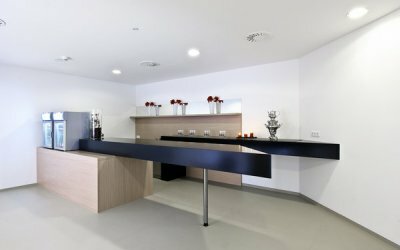 Via an underground passage you can comfortably reach the “Haus des Gastes” (House of Guests), where the newly extended Tauern Hall is located. 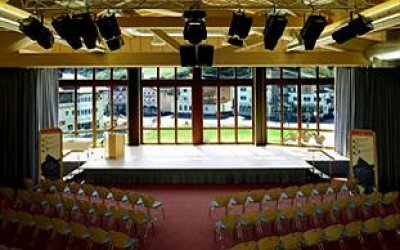 The hall provides ideal conditions for seminars, conferences and congresses. 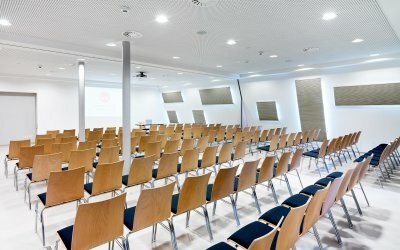 Room for up to 300 people is provided in the conference centre and if required an additional small area for approx. 40 people can be organised. The equipment and appliances available are of the highest and most modern technical standards. 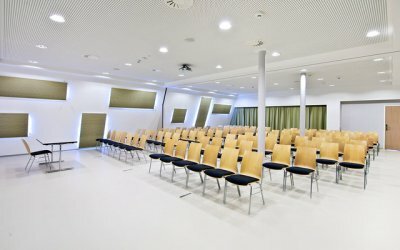 Take advantage of Obertauern’s amenities for your seminar or conference, and make a non-binding room request for the Hotel Perner in Austria’s Salzburg County here. 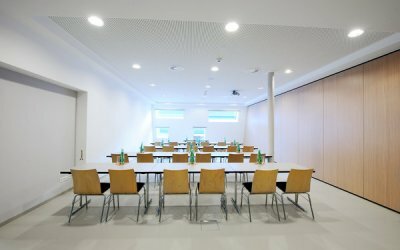 second seminar room at the "Haus des Gastes"